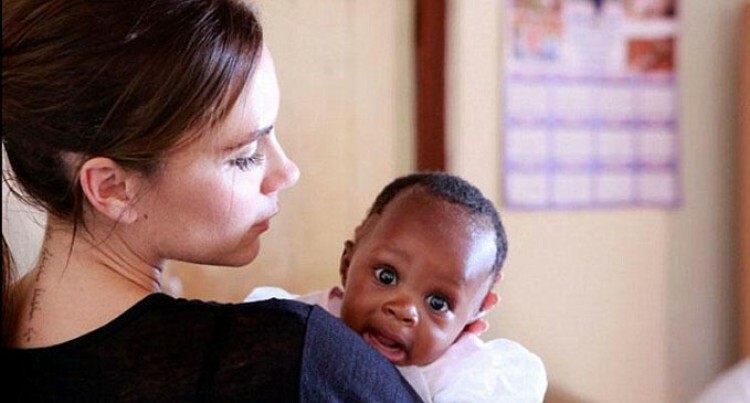 Touching: Victoria Beckham took to Twitter on Tuesday to share pictures of meeting women and babies in Soweto during her UN charity trip. Victoria Beckham has joined the likes of Angelina Jolie, Emma Watson and Leonardo DiCaprio to be named a new UN International Goodwill Ambassador. The star – who missed the opening of her London fashion store to be there – said she felt her public profile meant she had a duty to do more about woman’s health. At the press conference in New York, she said: ‘I am mother and I am a woman. I will do whatever I can to raise awareness. I feel very passionate about this. “I recently visited South Africa and was so touched by the women I met and felt inspired. I came home and I knew I had to do something. “It’s taken me to get to 40 to realise I have a responsibility as a woman and as a mother. For some reason people will listen to me. This is the beginning of an incredible journey for me.